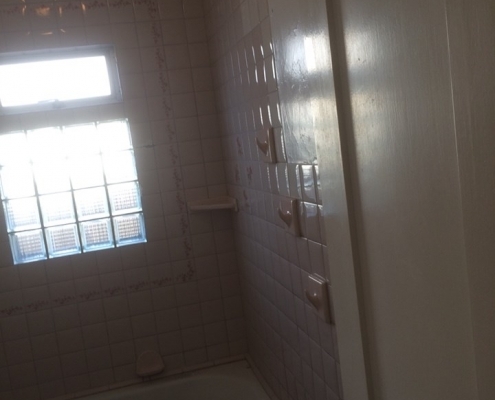 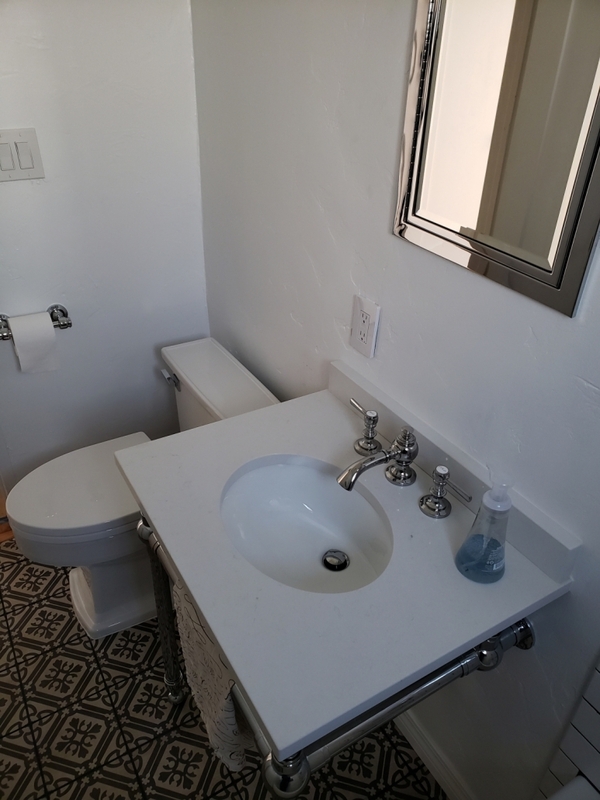 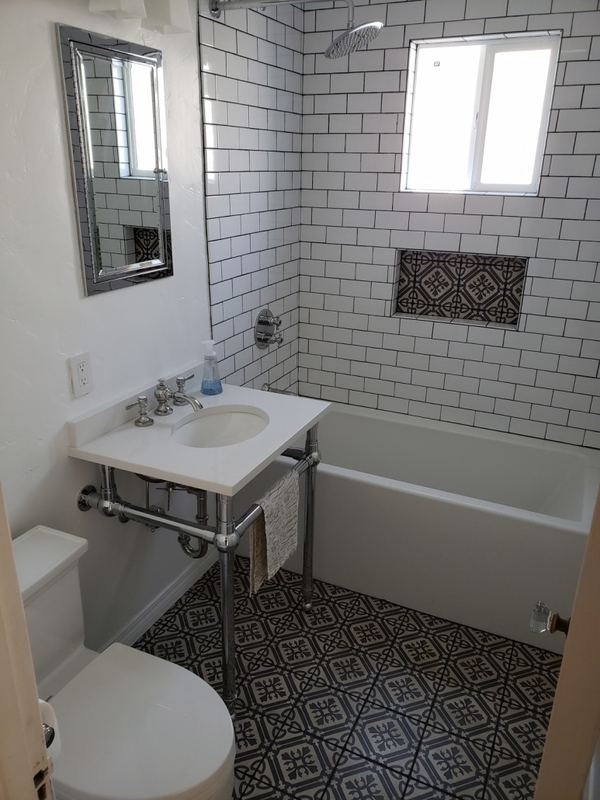 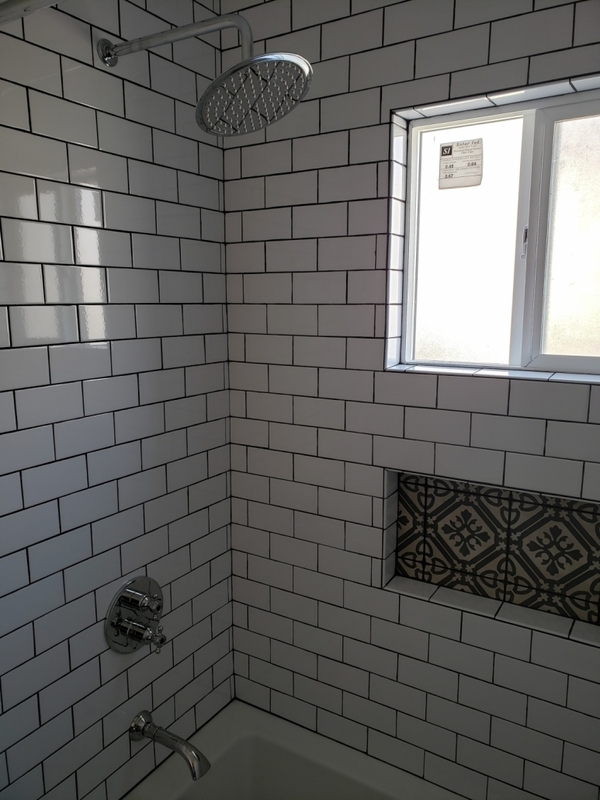 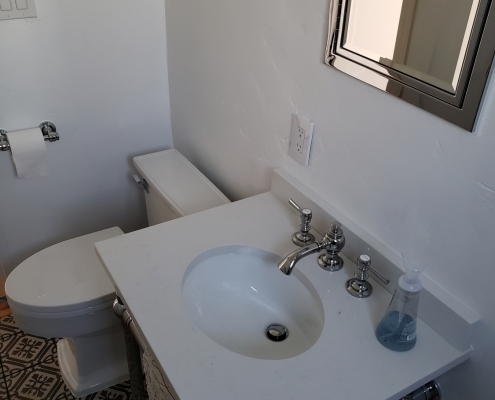 Here is a bathroom we did on a home built in the 1920’s in the old town part of Ventura. 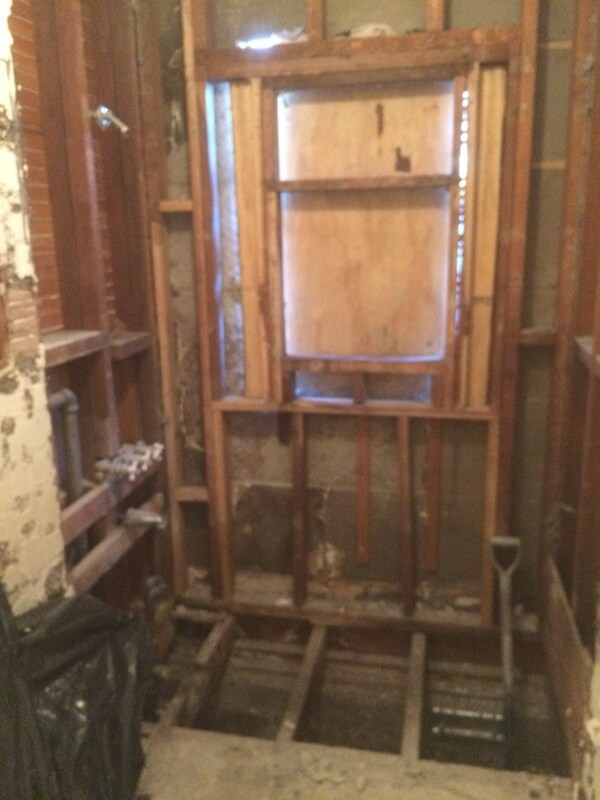 Older homes such as this always pose their own unique set of challenges, such as nominal lumber, years and layers of remodeling, and old outdated construction techniques that quite frankly withstand the test of time. 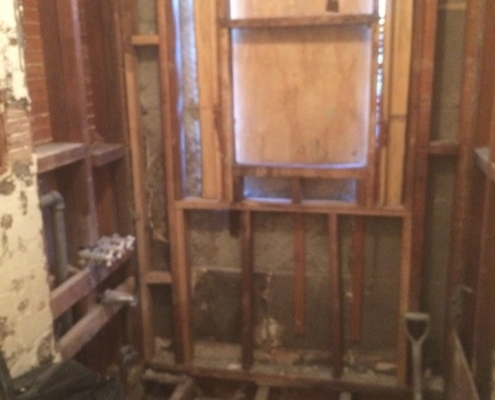 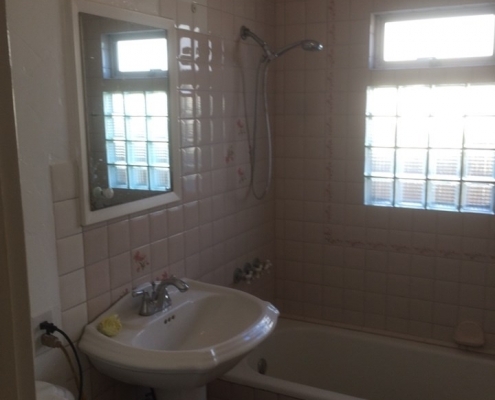 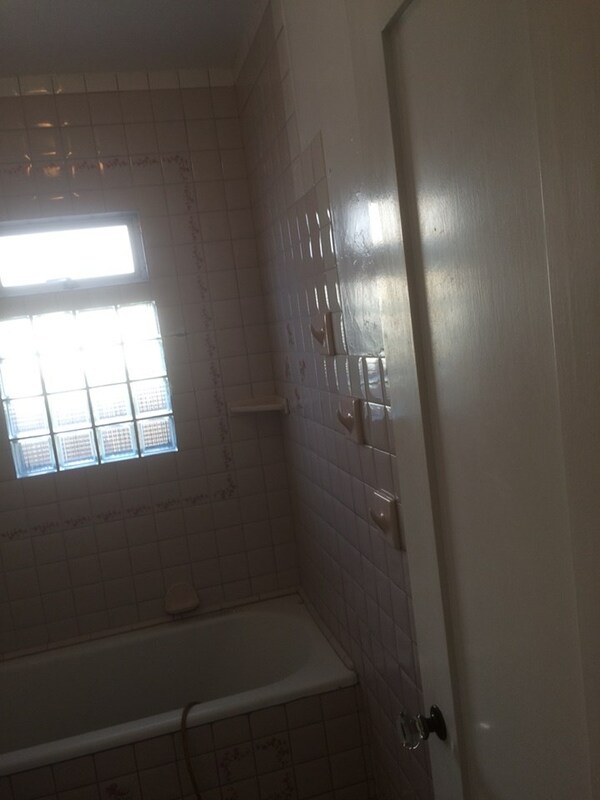 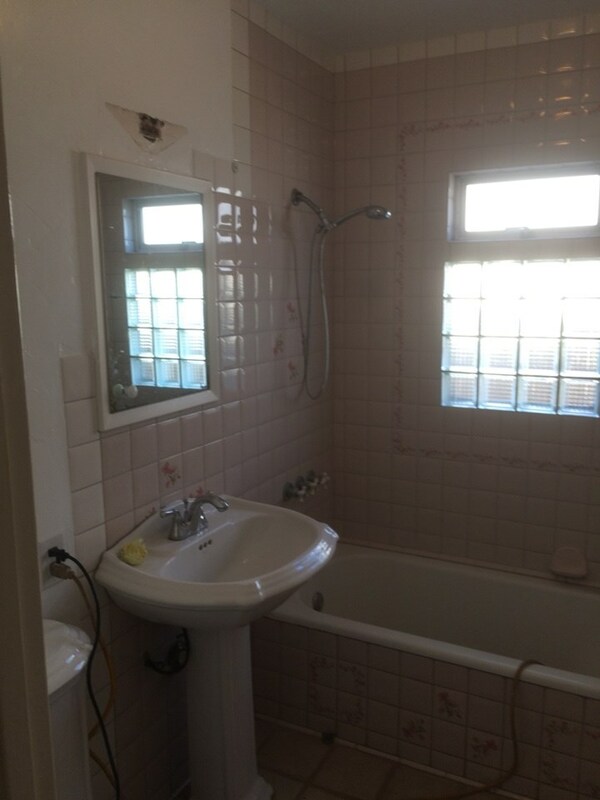 As you can see from the before pictures the bathroom was something straight out of 1984, with it’s pink tile and pedestal sink. 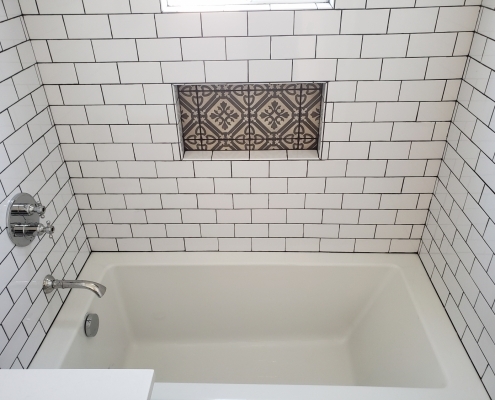 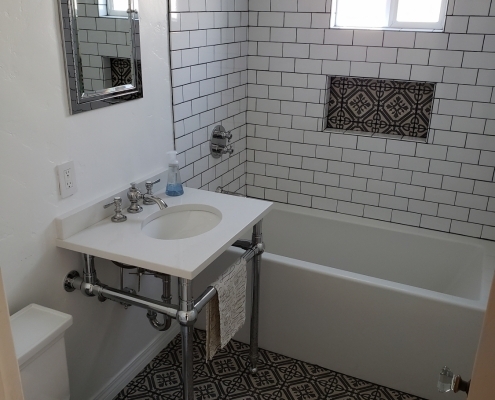 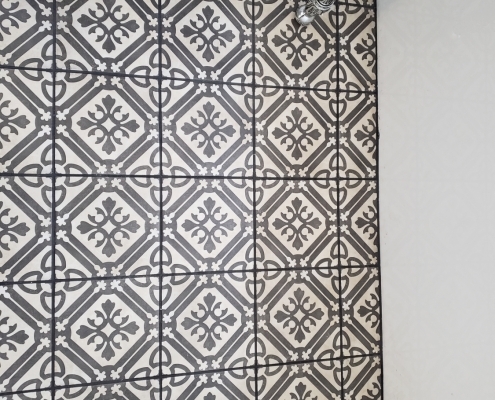 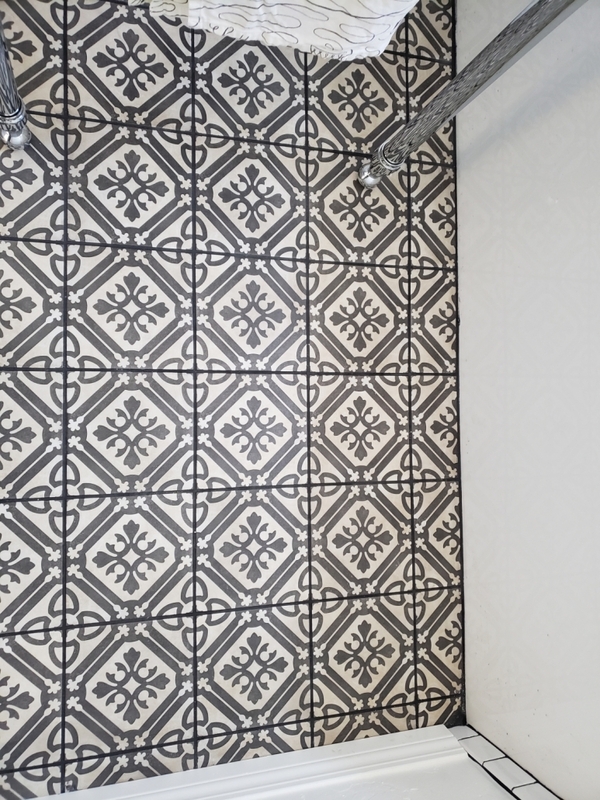 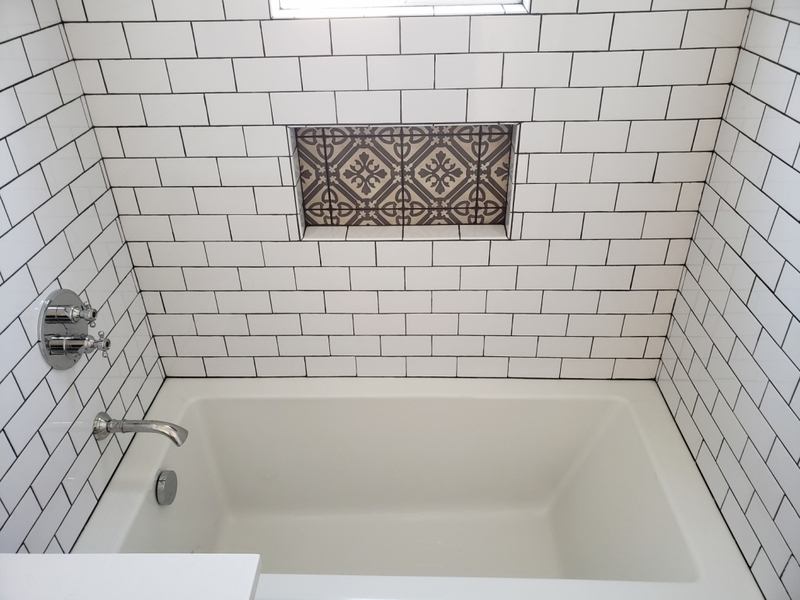 The homeowner chose to go with a very classic subway tile, and a very modern patterned tile, giving the space a nice contrast. 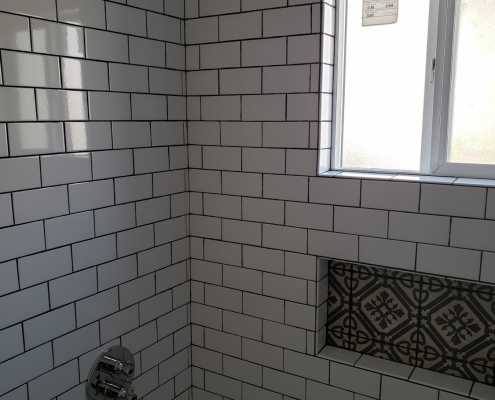 What you don’t see is that we knocked out the window, framed it in and stuccoed the outside to match.